As Labour's captains struggle to right their capsized party, they have quickly resorted to throwing overboard any vestige of Ed Miliband and his political approach. All four candidates or potential candidates for the Labour leadership have renounced Miliband's (alleged) hostility towards business, "wealth creation" and "aspiration." Some of them have also reversed another long-standing Miliband position; his opposition to the Tories' noisily proclaimed commitment to an EU referendum. 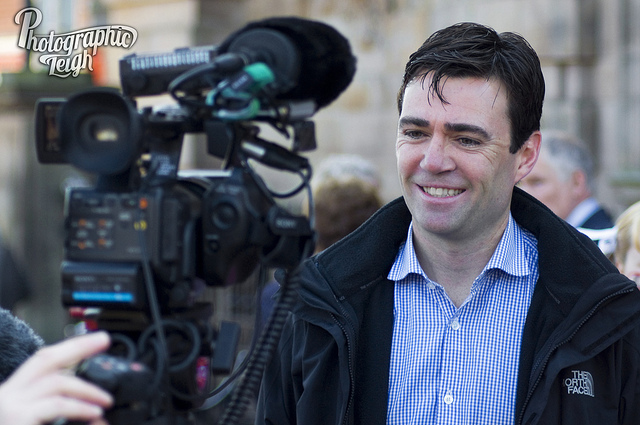 Last week, Andy Burnham called on David Cameron to bring the referendum forward to the autumn of 2016. He followed Liz Kendall's lead in backing a poll. Previously, Labour policy had been to hold a referendum only if the EU proposed a significant transfer of powers upwards from the national level. Harriet Harman, currently the party’s interim leader, made the U-turn official party policy two-and-a-half weeks after the election. By doing so, Labour's leaders are partly accepting what they see as the verdict of the electorate. But they are also trying to appeal to the working-class voters that the party has lost to a surging UKIP. John Trickett’s analysis of the election results suggests as much - Labour's support among middle-class voters held steady, but the party shed parts of its working-class base. UKIP scored alarmingly strong second-place finishes in a number of Labour-held seats, such as Dagenham and Rainham (29.8 percent), Rotherham (30.2 percent) and even Miliband’s own seat of Doncaster North (22.6 percent). So Kendall's and Burnham's strategy is understandable. It is also doomed to failure. But Burnham and Kendall are relying on a flawed analysis of the Conservative victory. Until the Bloomberg speech in January 2013, Conservative Party policy was actually identical to Labour's (no referendum on the EU unless Brussels proposed a significant transfer of power from member-states to itself). Only in his speech at Bloomberg, halfway through his premiership, did Cameron embrace a referendum - in large part to steal UKIP's thunder. And it failed. UKIP went on to win the 2014 European Parliament elections and two by-elections later that year. Cameron's referendum promise did little or nothing to stanch UKIP's growth. Research suggests that the Tories did win back some UKIP voters in the general election – the so called "shy Tories" that the pollsters missed. But it seems what lured them back was not Europhobia, but Scotophobia - specifically, the fear of some sort of Labour-SNP alliance. UKIP still won more than one-eighth of the popular vote. If one thing marks UKIP voters and voters for right-wing populist parties in general, it's their alienation: from the globalised economy, from social and demographic change, and from the major political parties and "metropolitan elites." There is a significant breakdown of trust between these voters and the entire political mainstream. The Conservatives have attempted repeatedly to attract or regain these voters with policy appeals: The EU referendum, ever-tighter controls on immigration, attacks on welfare recipients. But this has never done them much good. The one effective strategy the Conservatives did employ was to stoke fears of the SNP and in that case they could rely on non-party sources to verify their claims. So how can Labour address this? The Scottish example suggests that it is possible to reach "left-behind" working-class voters in the service of a left-wing politics. But this requires a large-scale, representative grassroots movement, and a clear vision to strive towards. This is no easy task. (Indeed, the SNP, savvy force that is, as much co-opted this popular movement as created it.) For Labour to reconnect with its working-class voters, it will need vision, and it will need to actively involve these voters in realizing that vision. Trying to win back these voters by guessing at what they want will not work – as indeed, David Cameron could avow. Ben Margulies is was recently awarded his doctorate at the University of Essex for a thesis on liberal political parties. He has recently published articles in the Rivista Italiana di Scienza Politica and Comparative European Politics.